Back in the eighties, the original Tipo was a quite sophisticated family hatchback with a digital dashboard and a dash of style. Performance, too thanks to the semi-iconic Sedicivalvole hot hatch version. Fast forward to 2017, and the tale is quite different. 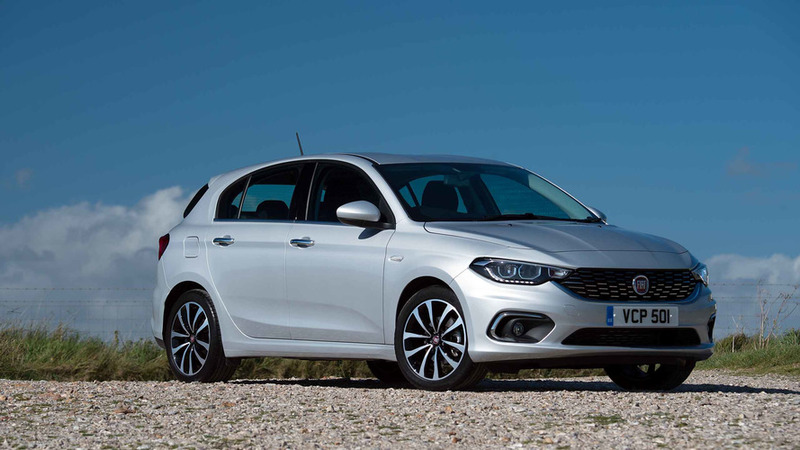 The current Tipo is a built-down-to-a-price bargain hatch designed to wrest back buyers for Fiat who’ve defected to the Koreans and Dacia over the years. Did you know? 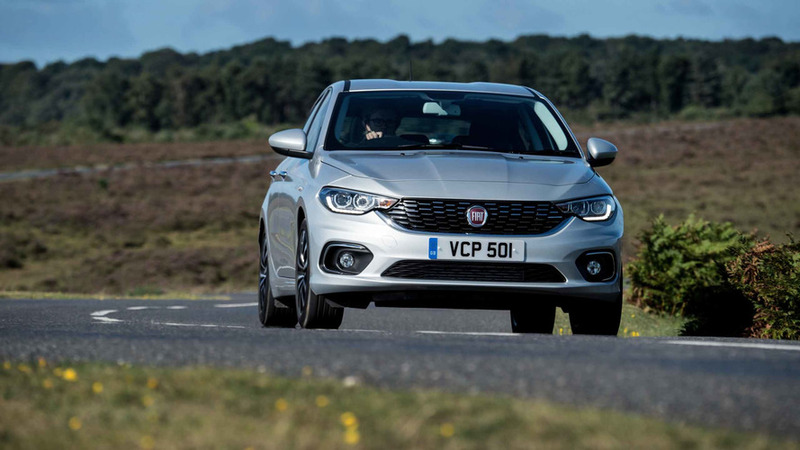 The original Fiat Tipo was European Car of the Year when it was launched in 1989. There are few criticisms of the Tipo that cannot be waved away with simple repetition of the phrase ‘but look at the price tag.’ It undercut an equivalent Ford Focus, for example, by as much as £4,000, yet it’s every bit as spacious and practical, and Fiat seems to have got the build quality right too. It’s only average to drive, the cabin is rather plain, and refinement is not its strong suit, but the Tipo represents solid, sensible family motoring for a bargain price tag, and just a faint whiff of eighties Italian glamour. Quietly smart looking would probably sum up the Tipo’s styling. It’s not ground-breaking, nor does it have touches of heart-stopping Italian gorgeousness (that is sister brand Alfa Romeo’s stock-in-trade), but it’s pleasant in a conventional sense. The only striking part of the styling is really the radiator grille, which is broad, shallow and chromed as if it were wearing small, square sharks’ teeth. The way the grille meets the headlamps and daytime running lights is actually pretty stylish, and probably the Tipo’s best feature. The rest is really just generic family hatchback, but it’s far from ugly. The only problem could be its image. 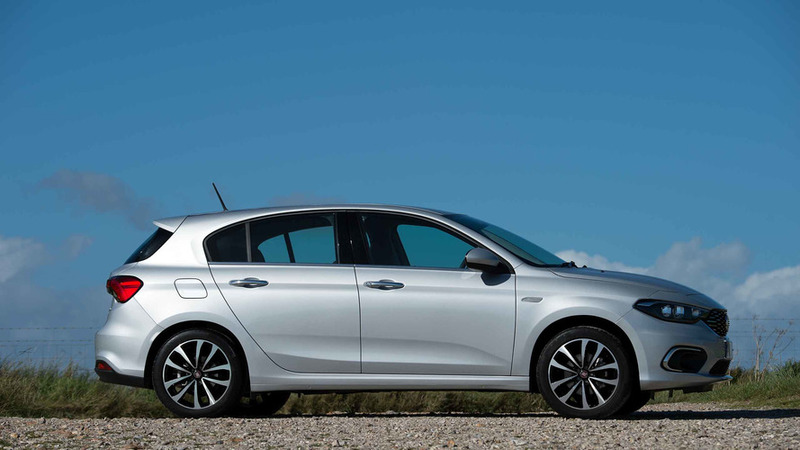 Fiat has fallen out of favour with buyers in the family hatch class, mostly thanks to not having had such a model on sale since the old Bravo was quietly put out to pasture. Winning back customers could be tricky, not least because Fiat must overcome its own unlovely reliability reputation and a poor customer service history for its dealer network. Making the Tipo look inoffensive on the outside might have seemed like a plan to entice conservative family buyers, but that lack of style could leave the Tipo too far under most people’s radars. Comfort levels in the Tipo are actually pretty good. The seat bases in the front are a bit flat, and ideally could do with more under-thigh support, but for the most part they’re absolutely fine, even on a longer journey. In Italian tradition, though, the driving position does leave you a touch splay-legged if you’re tall. Even so, the chunky steering wheel has a wide range of reach and rake adjustment, so most will be able to get comfortable. 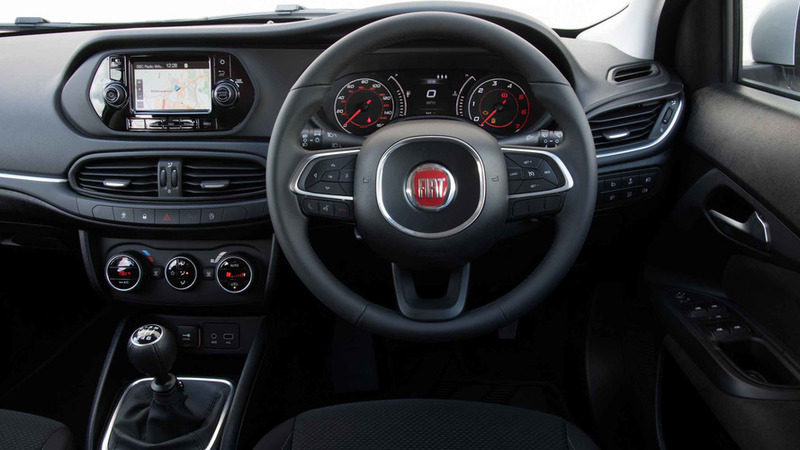 The interior layout is mostly just plain and functional, although the dials are quite attractive and the way the edges of the dashboard loop under the air vents is actually faintly reminiscent of the Jaguar XE. Overall quality is fine, certainly for most of the items that your hands will regularly touch (the main heater controls feel almost premium-grade, in fact), but hard, cheap plastics are never too far away. That’s probably acceptable given the price tag though, and the quality of assembly seems pretty good. We’ve even heard some people refer to the Tipo’s cabin as classy. 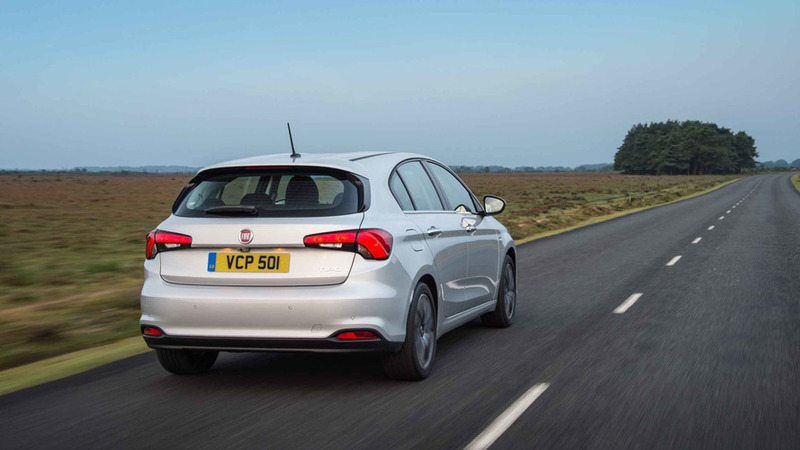 A 440-litre boot pitches the Fiat Tipo above the space level of a Volkswagen Golf or Ford Focus, but it’s only about as big as a Peugeot 308 and smaller by far than a Skoda Octavia. Still, it’s more than big enough in the boot for most family purposes, and space in the rear seat is, if not quite generous, then certainly adequate. 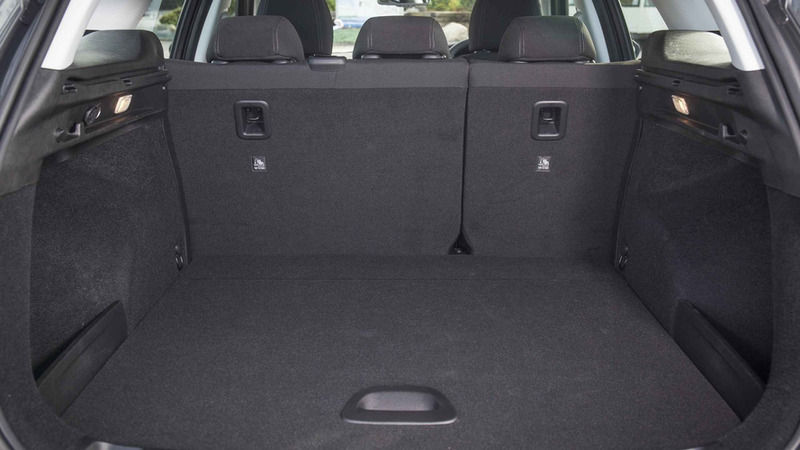 There are also ISOFIX points in the outer rear seats, but sadly not an extra one in the front passenger seat, although there is an airbag cut-off switch. Basic Easy spec Tipos come with a DAB radio with Bluetooth and a USB socket and little else. 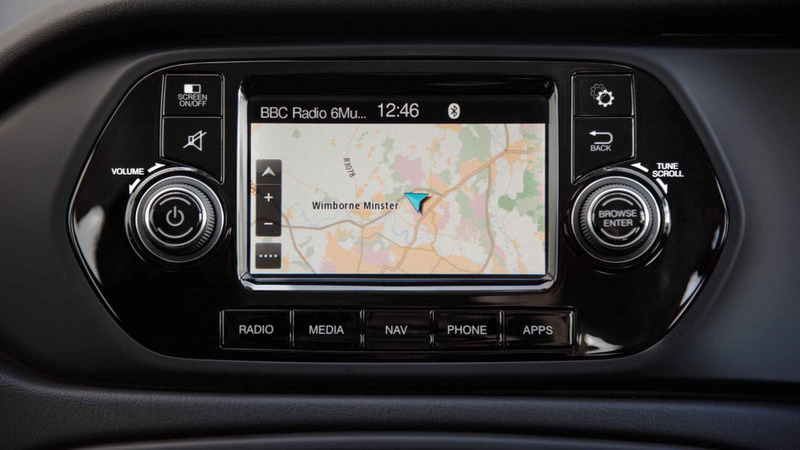 Easy Plus models get a five-inch uConnect touchscreen with Bluetooth, DAB and USB connection, but there’s little on offer with the touchscreen that, in real terms, the basic radio can’t also do. Upgrade to Lounge models though and you get that same five-inch screen with satellite navigation and live services such as traffic warnings, voice recognition, a text message reader, live news feeds, and some Twitter and Facebook functionality. There’s no smartphone connection though, other than for music streaming, and no option for a Wi-Fi hotspot. 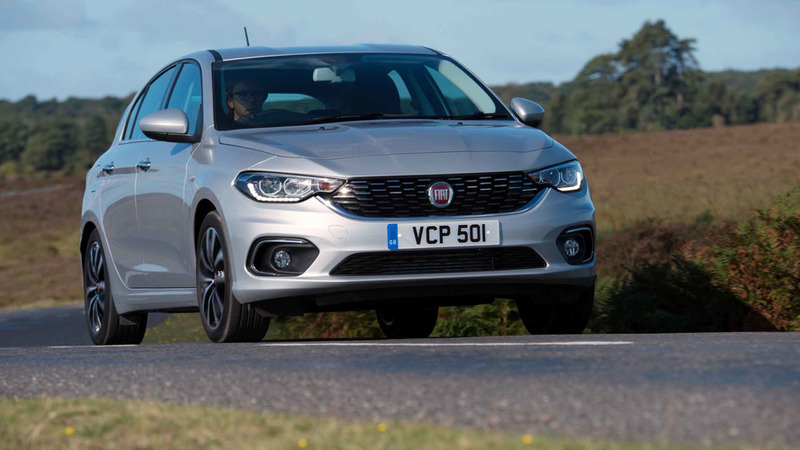 It’s a shame really, as Fiat does have a really impressive uConnect system in its cupboard (the seven-inch unit from the 500S that is genuinely slick and pleasant to use), but we suppose the Tipo’s bargain nature precludes anything better. In some ways, the Tipo is actually quite nice to drive. The steering has only the faintest modicum of road feel, but it’s nicely weighted and reasonably accurate, and body control along back roads is quite good. It does start to fall apart a bit when you press on, though. The front lurches into messy, wheel-scrabbling understeer far too quickly, and the ride quality occasionally allows too much of a thump up through the structure. Performance from either the 1.4 petrol turbo or the 1.6 diesel is absolutely fine, but the other engines struggle a bit. It’s not a ball of fun, or anything, but it’s not as blandly lifeless as some of the competition, either. None of the Tipo’s five engines is exactly bang-up to date. The oldest, the 1.4-litre petrol, dates back to the eighties, while the 1.3 MultiJet diesel originally went into production in 2003. The 1.6 diesel and 1.4 petrol turbo are both around a decade old already. They do have decent performance, though. Well, the 1.4 T-Jet and 1.6 MultiJet do, at any rate. Both have an identical 120hp and sufficient torque (159lb ft for the petrol, 236lb ft for the diesel) to spin up the front wheels if you’re too sharp letting the clutch out. The 1.4 T-Jet is certainly preferable from an aural point of view, with a pleasantly crisp exhaust note and smooth refinement (even if the Tipo is a bit too keen to let wind and tyre noise through as well). The 1.6 diesel is probably quicker point-to-point thanks to its higher torque levels, but in the Tipo it’s a noisy old thing, clattering and rattling even when it’s warmed up properly. The 1.3 MultiJet, with 95hp, is a touch quieter than the 1.6, but you’ll have to strain it harder to keep up with the flow of traffic, so overall you’re probably going to get worse fuel consumption. The basic 1.4 is still game, and can sound nice when you run it out to the redline (it’s Italian, after all) but it’s just too down on performance and too thirsty in real-world conditions to be competitive. 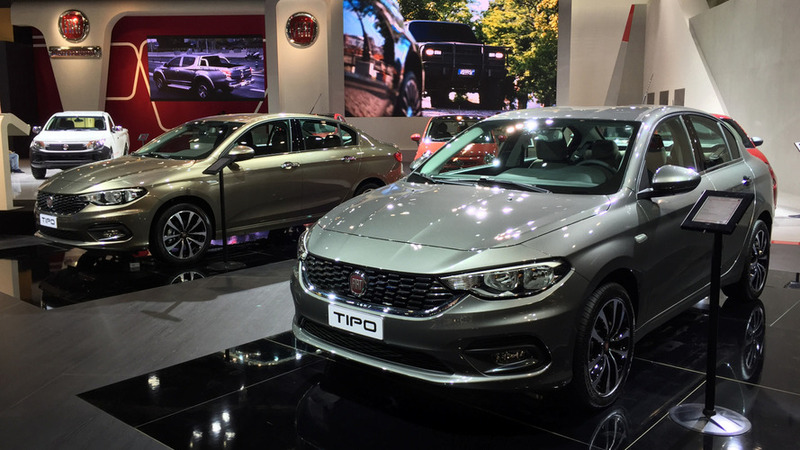 Tested in 2016 by Euro NCAP, the Tipo gets a split result. In standard equipment trim, it received a three-star score, with 82 per cent for adult occupant protection, 60 per cent for child occupant protection, 62 per cent for pedestrian protection, and just 25 per cent for safety assist. Adding the optional safety pack to the spec boosts that score to four stars, with a 57 per cent rating for safety assist. That safety pack includes autonomous emergency braking (but without pedestrian protection) a speed limiter and radar-guided cruise control. Either way, the Tipo scores disappointingly low for a modern family-oriented car. As in all things, the Tipo keeps it simple in its colour choices. You can pick from an Ambient White in a ‘Pastel’ finish, or from seven metallic finishes – Magnetic Bronze, Minimal Grey, Electroclash Grey, Tango Red, Elba Blue, Volcano Black, and Pearl Sand. 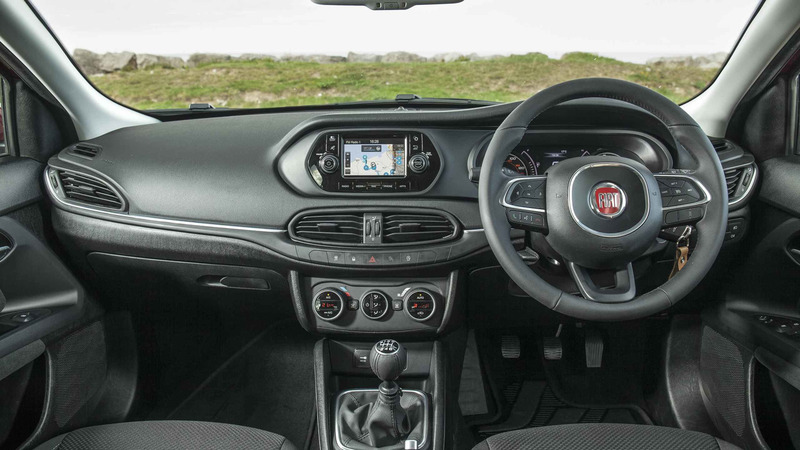 Don’t go expecting endless options lists in the manner of the Fiat 500 or 500X here – the Tipo is about affordability through simplicity, and that’s reflected in the spec sheets. Basic Easy models come with a DAB radio with Bluetooth and USB connections, air conditioning, steering wheel audio controls, electric adjust door mirrors, 15-inch steel wheels, six airbags, height adjustable driver's seat, and a front central armrest. Easy Plus spec adds the five-inch uConnect touchscreen, leather finish for the steering wheel and gearshift, electric rear windows, rear parking sensors, cruise control, 16-inch alloy wheels, fog lights, and LED daytime running lights. Top-spec Lounge gets satellite navigation, climate control, automatic wipers and lights, self-dipping rear view mirror (as part of the ‘Visibility Pack’), more chrome trim, a rear view camera, and 17-inch alloy wheels. Buyers can choose from two Safety Packs, one with speed limiter, radar-guided cruise control, and autonomous emergency braking, or one with just the speed limiter and the autonomous emergency braking. There are also Comfort Easy and Comfort Easy Plus packs that add a leather steering wheel and cruise control to an Easy, or climate control, rear centre armrest and lumbar support to an Easy Plus. There’s a Comfort Plus pack with heated, leather seats, a Visibility Pack with automatic wipers and lights and the self-dipping rear view mirror, and a Chrome Pack with some shiny bits for the outside. Given the low basic price, we’d just go for a bog-standard Easy spec and save your cash. The Tipo sticks closely to the class norm when it comes to size – it's big enough to be roomy inside, but compact enough outside to be easy to park. The Tipo has five engine options, two of which are thirsty enough to be dismissed right away. The basic 95hp 1.4-litre unit, whose architecture dates back to the original Fiat Uno from the eighties, has decent on-paper fuel economy of 49.6mpg, but you are going to struggle to match that in real life. Its 132g/km emissions will also count it out of bounds for many budget-conscious families, once its VED costs are taken into account. The 1.6 e-Torq petrol, with 110hp, only comes with a six-speed automatic gearbox and its official average of 44.1mpg and 147g/km speak for themselves. Of the other three engines, the two diesel models obviously give a good account of themselves in the official data. The 1.3 MultiJet scores impressive 76.3mpg and 99g/km figures, while the 1.6-litre 120hp MultiJet has equally impressive 76.3mpg and actually fractionally lower CO2, at 98g/km. There’s a 1.6 diesel with the TCT dual-clutch automatic gearbox too, with fuel economy of 74.3mpg and CO2 of 99g/km. You will struggle to reach those lofty figures in the real world, though – high-forties, low-fifties miles per gallon is much more likely. That leaves the 120hp 1.4- T-Jet petrol turbo. With official economy of 47.1mpg and emissions of 139g/km, it looks worse off on paper than the basic 1.4, but it will do better in the real world. 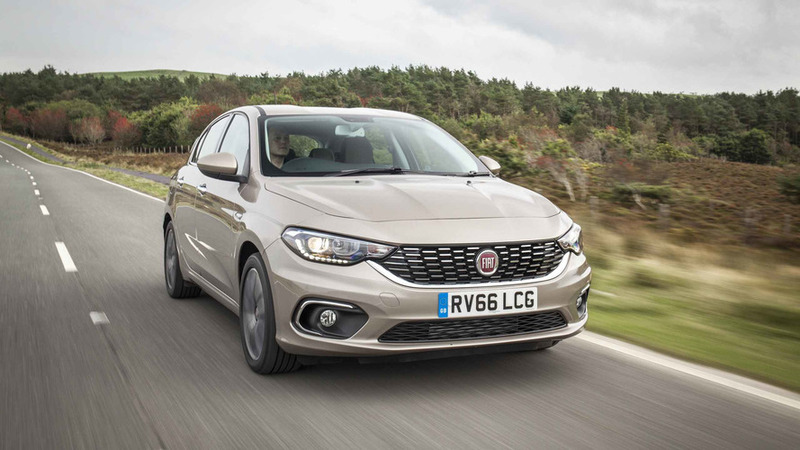 It's too early to tell whether the new Tipo is reliable or not, but Fiat has been improving its quality significantly over the last few years and the car seems well made at first impressions. All models come with a three-year, unlimited mileage warranty and a 12-year anti-perforation warranty. While it’s true that you don’t get what you don’t pay for, there’s no denying that one of the Tipo’s most appealing aspects is its price. Relative to its rivals, it’s like getting a Ford Focus-sized car for the price of a mid-spec Fiesta, or perhaps a Renault Megane for the cost of a Clio. A potential £4-5,000 saving compared to its mainstream rivals is pretty tempting, especially as the Tipo, while certainly not sophisticated, is not so far behind in terms of its overall talents. 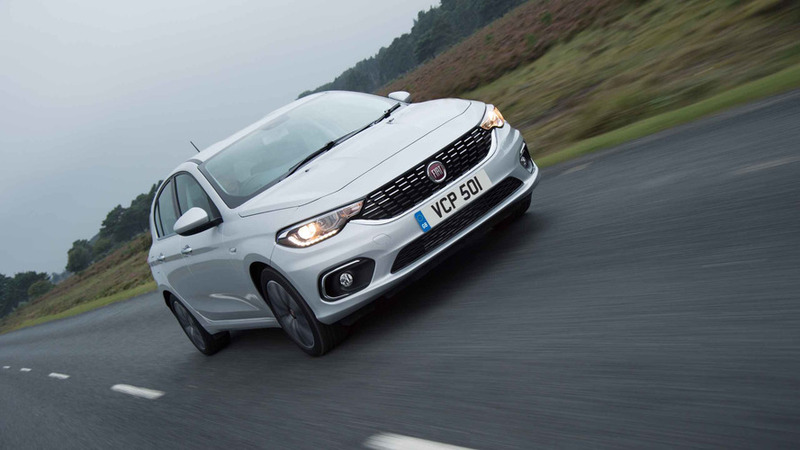 Keep an eye out too, as Fiat often runs special offers, such as cheap or even free upgrades to higher trim levels, allowing you to bag an even bigger bargain. 1.4 Easy – basic, but very, very cheap. 1.3 or 1.6 diesels – impressively low emissions for a bargain price. 1.6 diesel Easy – low emissions and tiny price mean ultra-low BIK. More expensive (isn’t everything? ), but comfier than the Fiat. Get a fashionable SUV for even less than a cheap Fiat hatch? No wonder they sell. Shows the Tipo the way home in almost every metric, but price. Amazingly, pricier than the Fiat, but well-made and well equipped. Decent to drive too. Still the king of the hatches; far more expensive than the Fiat but you can see why.